Anthem Country Club: If you golf, this is the part of Anthem for you. Anthem Parkside: The largest aspect to the planned community, where most of the amenities (excluding golf) are placed. Anthem Parkside: Arroyo Grande: Large homes on large lots (some can house boats and RVs), a 15-minute drive from Anthem proper, across the New River wash to the west. 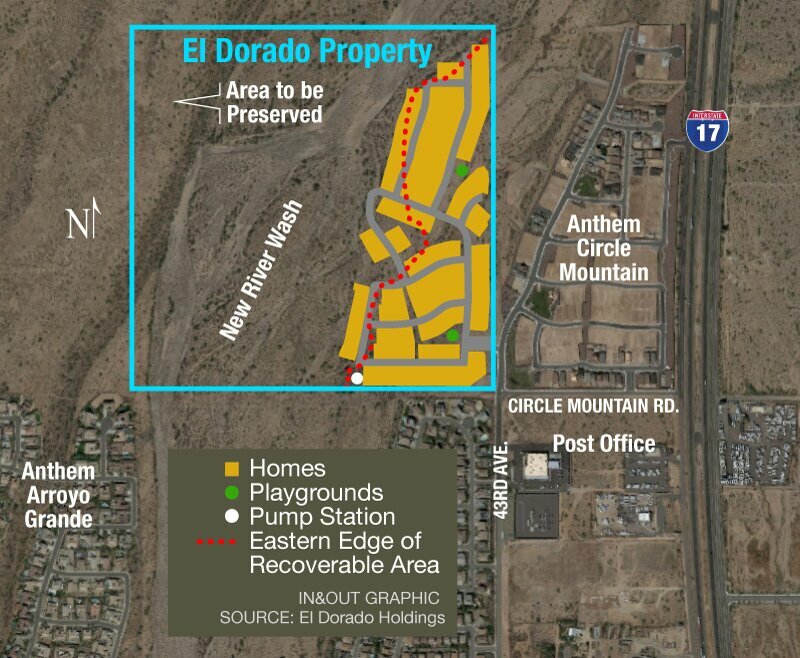 Anthem Parkside: Circle Mountain: Construction on this new and final phase of Anthem begins in 2017. Anthem Parkside: The Landing: A little-known secret: the only gated part of Anthem that’s not in Country Club. Anthem Parkside: Paseo: Quaint, tree-lined streets and smaller, detached patio homes. Anthem: The Village: Condos located in the center of it all. Anthem residents have quick access to I-17 and a less than 40-mile drive to Sky Harbor International Airport. Three major shopping centers are nearby: Outlets at Anthem sits in the middle of Anthem; the Shops at Norterra and the Happy Valley Towne Center are about 20 minutes south. Four regional parks that offer hiking, fishing and boating are all within 30-minute drives. Anthem is nestled along the slope of Daisy Mountain — a roughly 1-hour hike to the top for those in shape. The community has a stunning view of the sharp-edged Gavilan Peak to the North and views of the North Valley to the south. Saguaro and other cacti, along with ample shade trees and acres of open, grassy fields and parks dominate the community’s well-maintained landscape. The surrounding desert is wild, open and gorgeous. 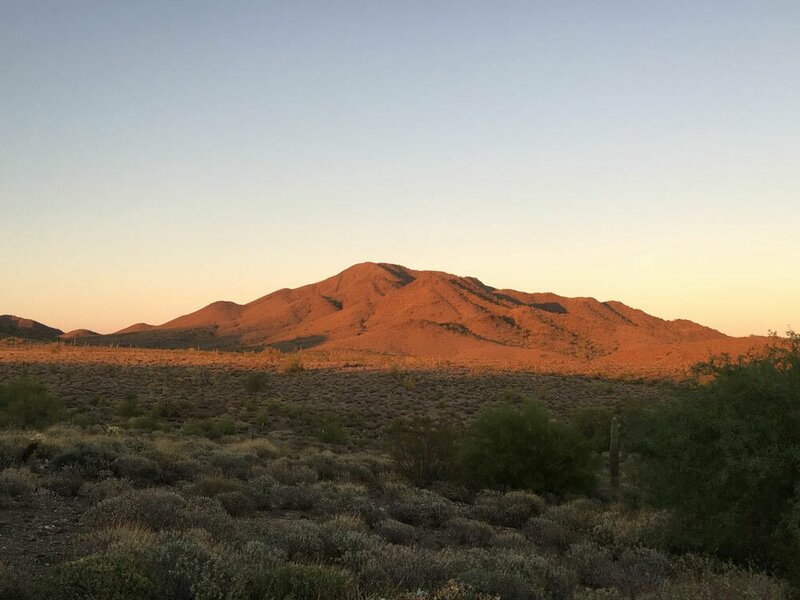 Thirty-six percent of the community is devoted to open space, with several miles of trails and walkways, plus open arroyos and wide-open, endless desert views and mountain scenes. 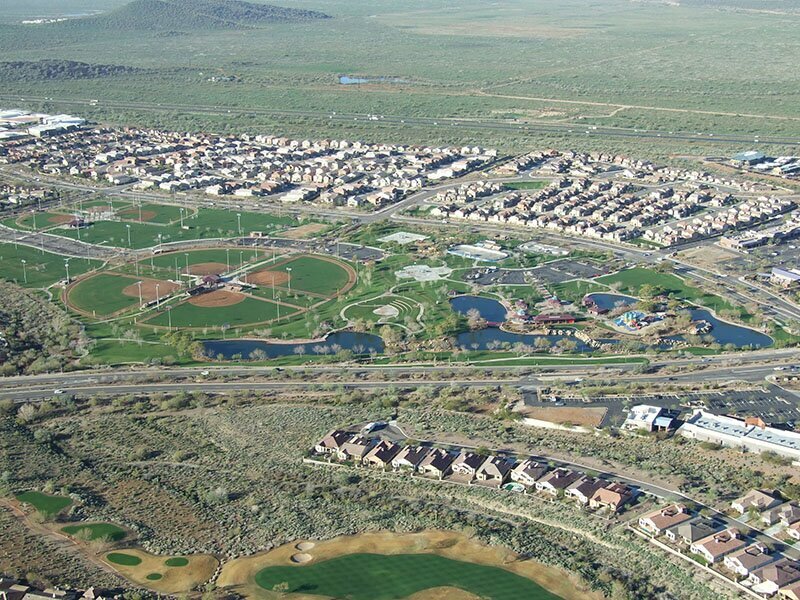 Anthem is anchored by a large Community Center and an adjacent 63-acre Community Park. The basic facilities are available daily for free use by residents, though special programs and events often carry a fee. 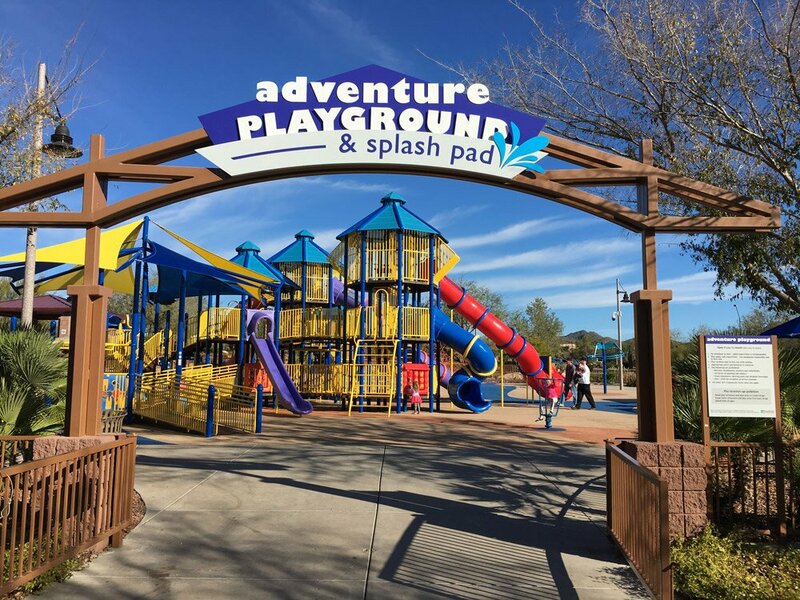 Rebuilt in 2016, Adventure Playground is a big attraction for kids. Independence Day Celebration, full-fledged fireworks show on or around the 4th. Del Webb began selling homes in Anthem in 1999 and was later bought by Pulte. 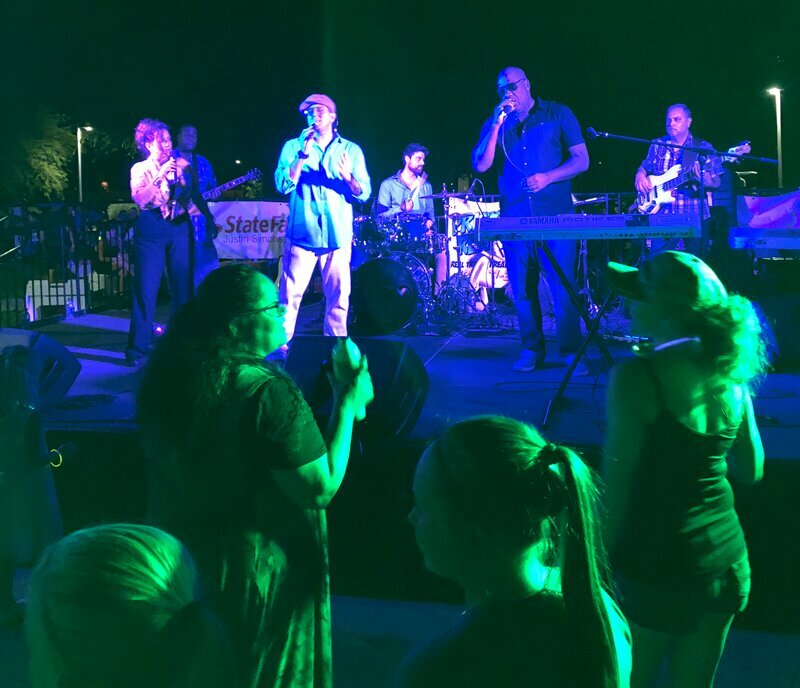 The Anthem community is operated by the seven-member volunteer board of directors known as the Anthem Community Council. Council makes decisions about finances and community-wide operations. It operates similar to a city council but has more autonomy. Since Anthem is not an incorporated town, the Council lacks authority over crucial services such as law enforcement and fire protection. The day-to-day operations are overseen by Council employees, primarily a Community Executive Officer and a Community Operations Officer. 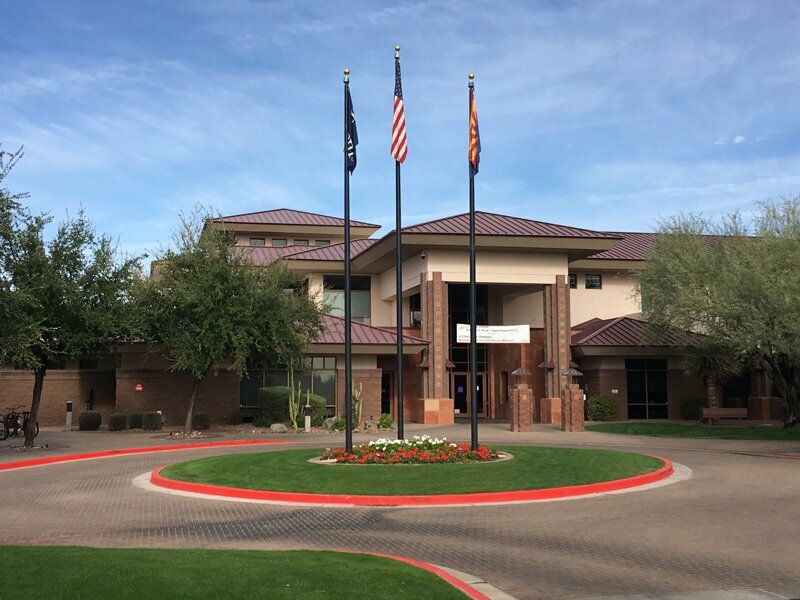 Council maintains community property such as Anthem’s main community park, Liberty Bell park, the main entrance fountains, the catch-and-release fishing lake. In addition, there are three HOAs that enforce their own Covenants, Conditions & Restrictions (CC&Rs) and govern operations of their specific neighborhoods: Country Club, Parkside and the Village (condominiums). The HOAs have elected boards and community managers who run the day-to-day. Examples of differences between the HOAs and Council: Parkside HOA maintains the pocket parks and monitors CC&R violations. Council, on the other hand, is in charge of running and maintaining the Community Center, Community Park and the ball fields. Council is responsible for collecting homeowner assessments and distributes a portion to the corresponding HOA. 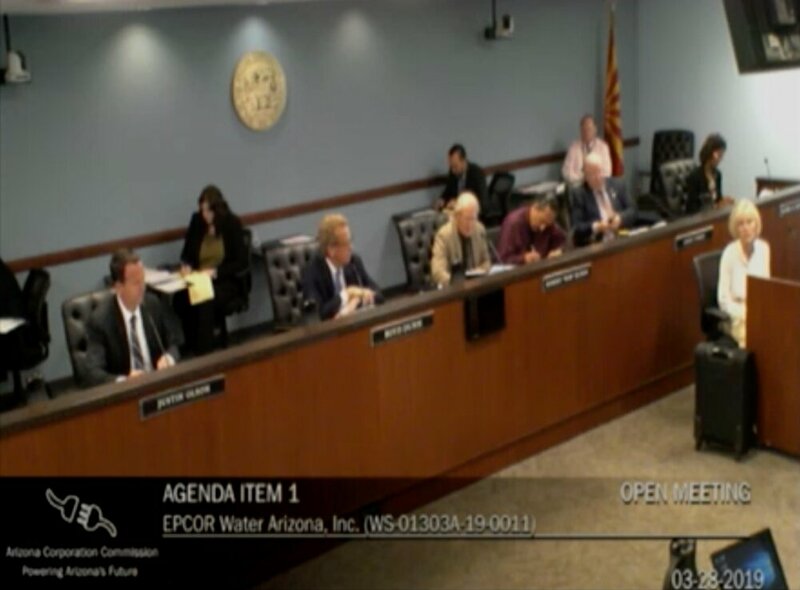 The roads in gated communities are privately owned by the respective HOA, while roads in most of parkside are owned by Maricopa County on the eastside, and City of Phoenix on the west. This humble collection of low-maintenance, modest-sized, detached 2-story "patio homes" with shared courtyard-style driveways is an enclave of tree-lined streets within Anthem's Parkside section. The HOA takes care of all yard work out front, and each home has a quaint, enclosed patio rather than a back yard. 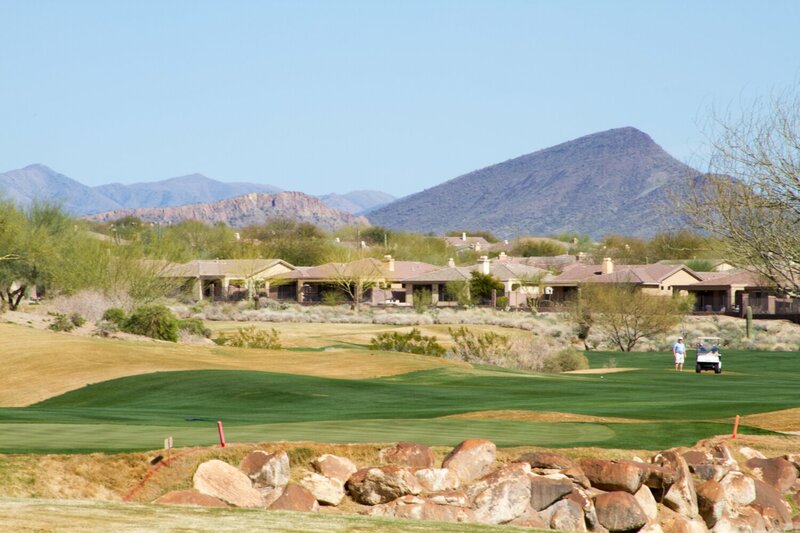 This small community is a little-known gem of solitude, sitting within Anthem's Parkside HOA. It's within walking distance of an Ace Hardware and a medical plaza, and less than half a mile from a Safeway plaza, all just off I-17. Many homes have mountain- and golf-course views. 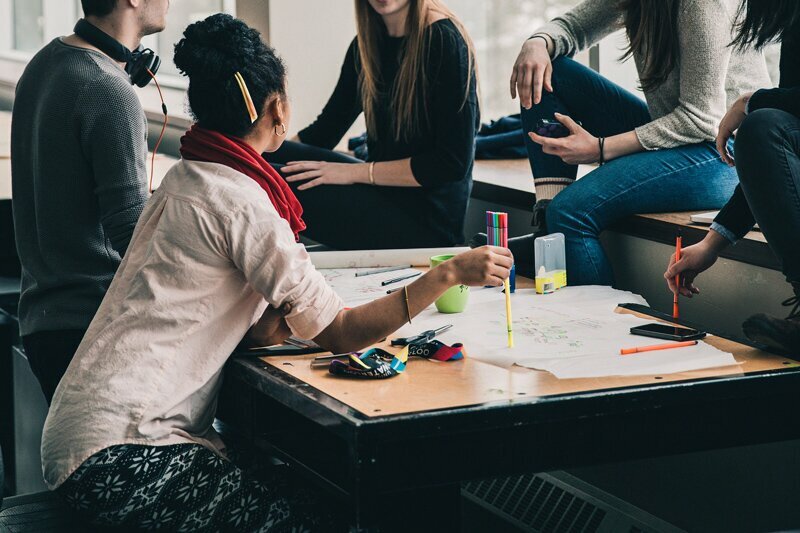 The Village at Anthem is a neighborhood of condominiums centrally located within Anthem's Parkside HOA, within walking distance of a medical plaza, Starbucks, CVS and an Ace Hardware store, and just a quarter-mile from a Safeway plaza. Some of this material was published previously on our sister site, Anthem News.